My wife and I went on a pioneer trek reenactment several years ago. For the most part, I didn't mind it. I figured if our pioneer ancestors were willing to push a cart for roughly 1,000 miles, I could do it for 20. 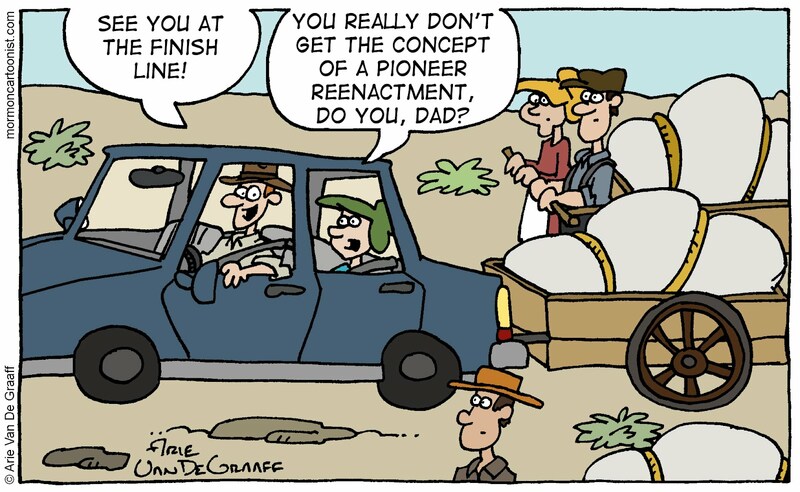 There were times, though, where I wondered if those handcart pioneers wouldn't look at us weird for eschewing all our modern conveniences to pretend to be them for a couple of days.